Braskem operates with a focus on the partnership and proximity to its customers and strengthening of the entire petrochemical chain. 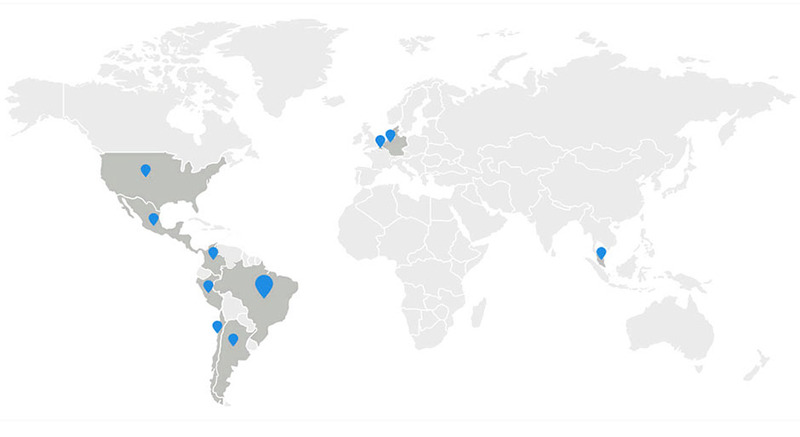 Through its offices in the Americas, Europe and Asia, Braskem serves customers in more than 70 countries. The growth and internationalization strategy, supported by innovation, has made Braskem the largest producer of thermoplastic resins in the Americas, the world’s largest producer of biopolymers, and the largest polypropylene producer in the United States. With administrative headquarters in São Paulo, Braskem operates 29 industrial units in the states of São Paulo, Rio de Janeiro, Rio Grande do Sul, Bahia and Alagoas. It produces polypropylene (PP), polyethylene (PE) and polyvinyl chloride (PVC), as well as various chemical and petrochemical products used by a wide range of industries. It also has an Innovation & Technology Center in Brazil equipped with advanced resources for supporting cutting-edge research, producing test samples, creating new solutions for Clients and improving existing products, technologies and processes. Braskem's administrative headquarters is located in the state capital. Its industrial units are located in the ABC region of Greater São Paulo and in the cities of Cubatão and Paulínia. The city of Campinas is home to the Renewable Chemical Products Laboratory, a space dedicated to the development of projects involving biotechnology and chemical processes based on renewable resources. Braskem's main office, in the Odebrecht São Paulo building in the Butantã district, is the base for the company's main management areas, as well as the sales team. The company also has a support office in the Villa-Lobos Building, in Alto de Pinheiros. Focused on biotechnology research and development to produce a new generation of products, such as the development of a new technological route to produce green propylene and green polypropylene. It works in partnership with the two other units of the Braskem Innovation & Technology Center, located in Triunfo, RS, and Pittsburgh, PA, in the USA. Industrial unit focused on the production of PP. Units focused on the production of industrial chemicals and basic petrochemicals, EVA, PP, LDPE, HDPE and LLDPE. Manufacturing facility focused on producing LDPE. Braskem's industrial units in this state are located in the Camaçari Industrial Complex. An administrative office in the city of Salvador supports the company's operations. Industrial units focused on the production of basic chemicals and petrochemicals, as well as PP, LDPE, LLDPE, HDPE, EVA, UTEC, PVC, chlor-alkali. Office in Salvador, serving as a base for administrative areas to support business activities. Braskem's two industrial units in that state are located in Maceió and Marechal Deodoro. Manufacturing facility focused on producing chlor-alkali. Manufacturing facility focused on PVC production. Duque de Caxias is the site of a basic petrochemicals unit and another that produces thermoplastic resins. In addition, an administrative office supports the company's activities in the region. Manufacturing facility focused on producing basic chemicals and petrochemicals, as well as PP, HDPE and LDPE. The company's industrial units in this state, as well as the Innovation & Technology Center, are located in the Triunfo Petrochemical Complex. The world's first Green Ethylene plant (part of the cycle of green polyethylene production) is located there. The administrative office that supports Braskem's activities in the region is in Porto Alegre, the state capital. Braskem's Innovation & Technology Center services Clients by providing support for the development of innovative solutions, as well as improvement of existing processes, technologies and products. Its 18 laboratories and six pilot plants produce samples and test new solutions proposed by Braskem. The center works in partnership with two other units in São Paulo, Brazil, and Pittsburgh, in the USA. Units focused on the production of basic chemicals and petrochemicals, as well as PP, LDPE, LLDPE, HDPE and Green PE. With administrative headquarters located in Philadelphia, Pennsylvania, Braskem America has five polypropylene (PP) plants: three in Texas (La Porte, Oyster Creek and Seadrift), one in Pennsylvania (Marcus Hook) and one in West Virginia (Kenova). In addition, a modern Innovation & Technology Center located in Pittsburgh, Pennsylvania strengthens Braskem's partnerships with its Clients in the region, while supporting the development of innovative solutions and improving existing products and processes. Administrative and sales office focused on serving North American Clients with sales of polypropylene (PP), green polyethylene (PE), and UTEC® an (ultra-high molecular weight polyethylene designed for high-performance applications). The Innovation & Technology Center located in Pittsburgh serves Braskem Clients by supporting the development of innovative solutions and improving existing processes, technology and products. It works in partnership with Braskem's other Innovation & Technology Center located in the Brazilian state of Rio Grande do Sul. Located 20 miles from Philadelphia, the plant produces 771 MM lbs./year of polypropylene (PP). Producing primarily homopolymers and random and impact copolymers, the unit employs over 100 people. Located in the city of Kenova, this unit produces 529 MM lbs./year of polypropylene homopolymers and employs over 95 people. Located 26 miles from Houston, this unit produces 727 MM lbs./year of polypropylene (PP). The La Porte Unit produces homopolymers (Spheripol) and copolymers (random and impact) in the TPO Reactor and employs over 100 people. Located in Houston, the sales office serves Clients in North America with sales of basic petrochemical products. Located in Freeport, Texas, this unit based on Spheripol technology produces 705 MM lbs./year of polypropylene (PP). Located in Seadrift, Texas, this unit based on UNIPOL technology produces 496 MM lbs./year of polypropylene (PP). In addition to the the administrative office in Mexico City, Braskem operates, through the Braskem Idesa joint venture, the Petrochemical Complex in Mexico, located in Nanchital, Veracruz state. There are four industrial plants, one cracker gas-based and three polyethilene plants. The office located in Bogota is responsible for selling PE and PP. The commercial and administrative offices are responsible for serving the Peruvian market. This office is responsible for serving the Chilean market for PP and PE sales. Braskem's first office to be opened outside of Brazil, the Buenos Aires office is responsible for serving the Argentine, Paraguayan, Uruguayan and Bolivian markets. It focuses on relationships with PP and PE Clients. Braskem's headquarters in Europe is localized in the Netherlands. The Braskem team in Rotterdam services clients in Europe with chemicals and petrochemicals. Office focused on serving European Clients with sales of polypropylene (PP), green polyethylene (PE), and UTEC® an (ultra-high molecular weight polyethylene designed for high-performance applications). Located near Cologne, North Rhine-Westphalia this unit based on UNIPOL technology produces 240.000 t/year of polypropylene (PP). Located near Leipzig, Saxony-Anhalt this unit based on Spheripol technology produces 360.000 t/year of polypropylene (PP). Braskem's Singapore office is responsible for Client service in Singapore, China, India, Indonesia, Korea and Japan. It sells basic chemicals and petrochemicals.